This window film is no-glue, which can be fixed and removed easily without any traces left. So, it can be reused even after several years if not be damaged or smudged. Package Included: 1 x glass window film 1 x simple step-by-step instructions Quick Tips: 1. Measure and cut film according to the size of your window frame,leaving a little bit of margin of film (about 1-2cm) around your window. 2. Clean window glass. 3. Mix soap and water into a spray bottle. 4. Spray and wet the whole glass window. 5. Peel off around 5 inches the protective film on the vinyl starting from the top(which is a kind of clear vinyl, please MAKE SURE remove it before you apply the window film to glass). 6. Align the vinyl. 7. Squeeze the soap water out while peeling the rest of the protective film. 8. Clean up any remaining bubbles. 9. Done. Tips for Installation: 1. A clean and smooth glass surface without any dust, fiber or any kind of texture is needed. 2. The transparent back cover must be peeled off; otherwise, the film will fall off when the water is dry. 3. Do not apply to the window frame. Cut off excessive edges after application if needed. 4. 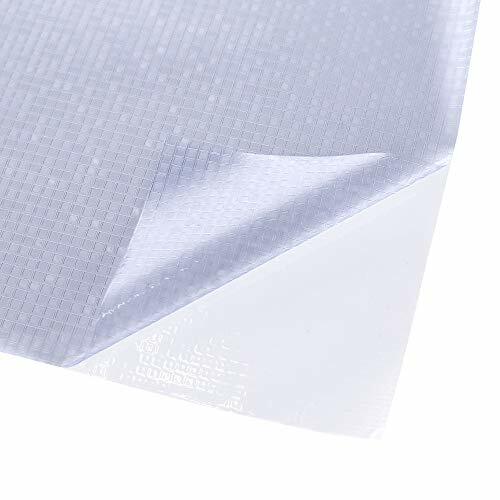 The film may be a little tough and its adhesive effect will be impacted in winter. Solution: use hair dryer or warm water to soft it. ( Heat resistance is under 176¨H). decorative window film Non-AdhesiveRAMOVABLE:Static cling design-removed easily without any traces left.So it can be reused even after several years if not be damaged or smudged. decorative window film Non-AdhesiveMULTI-USAGE:Available in 17.7-inch(Width) by 78.7-inch(Length) /roll,easily trimmed to required size with scissors or utility knife. decorative window film Non-AdhesiveWARRANTY:About the products that quality problem, we will assume corresponding responsibility.